Just a couple of quick blocks away from the behemoth that is Staples Center, someone has been very quietly working on a rather unique concept: a walk up bar with immediate access to the street outside. It’s going to be called Prank, and no this is not a joke. It’s also not New Orleans or Las Vegas, which means unfortunately you won’t be able to hit the streets with an adult beverage in your hand. Instead, Prank tries to seamlessly blend the indoors and the world beyond, all from their highly visible corner location at 11th and Hope. As you can tell from the images, a pair of retractable walls will give drinkers unfettered access to the bar from the street. You’ll need to be technically still within those walls to enjoy the libations, but with a cozy bar seating situation, lots of glass, and a great list of menu options, that shouldn’t be hard. Beyond that corner space there’s a full two-story situation inside the Ricki Kline Design’ed restaurant as well, with room for live music and seating for up to 200 guests at a pop. The man behind the Prank project is none other than Dave Whitton, an LA favorite from Villain’s Tavern who spent time in San Diego opening bars with Aiden Demarest. He’s more recently been around at places like the Sunset Marquis, but soon will be making his home in the South Park sub-neighborhood of Downtown. A full menu and opening hours are still in the works, but expect evening service and (hopefully) late night hours. The address is pretty far along as well, so an opening in the next couple of weeks is practically a guarantee. 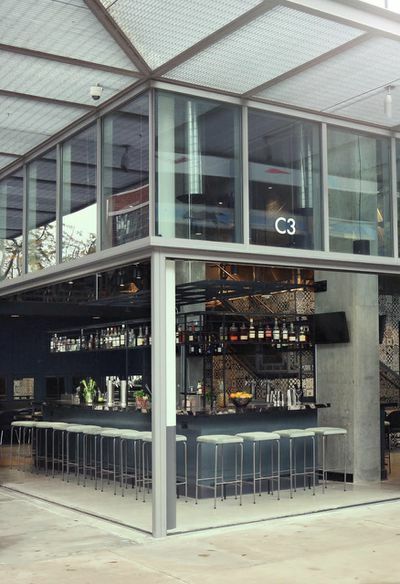 “LA’s First-Ever Walk Up Bar Is Just What the Doctor Ordered.” Eater LA – All. http://la.eater.com/2017/1/13/14268782/walk-up-bar-downtown-prank.